I think these are mostly self-explanatory, note though the “resources are allocated” means that a target host for restart has been found by the master. So this happens within milliseconds. Very similar for VMs are powered on, this also says nothing about when a VM is available. This literally is “power on”. In some cases it could take 10-20 seconds for a VM to be fully booted and the apps to be available, in other cases it may take minutes… It all depends on the services that will need to be started within the VM. So if it is important for the “service provided” by the VM to be available before starting the next batch then option 3 or 4 would be your best pick. 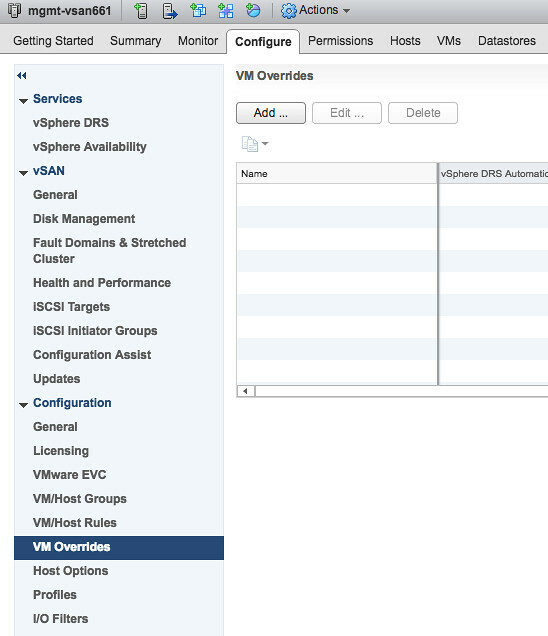 Note that with option 4 you will need to have VM/Application Monitoring and defined within the VM. Now when you have made your choice around when to start the next batch you can simply start adding VMs to a specific level. Instead of the 3 standard restart “buckets” you now have 5: Highest, High, Medium, Low, Lowest. Why these funny names? Well that was done in order to stay backwards compatible with vSphere 6 / 5 etc. By default all VMs will have the “medium” restart priority, and no it won’t make any difference if you change all of them to high. Simply because the restart priority is about the priority between VMs, it doesn’t change the host response times etc. In other words, changing the restart priority only makes sense when you have VMs at different levels, and usually will only make a big difference when you also change the option “Start next priority VMs when”. Note that the outcome is usually pretty big, so you will have to scroll through it to find what you need, if you do a search on “restartPriority” then you should be able to find it the VMs for which you changed the priority. Pretty cool right?! Oh, if you didn’t know yet… Frank, Niels and I are actively updating the vSphere Clustering Deep Dive. Hopefully we will have something out “soon”, as in around VMworld. 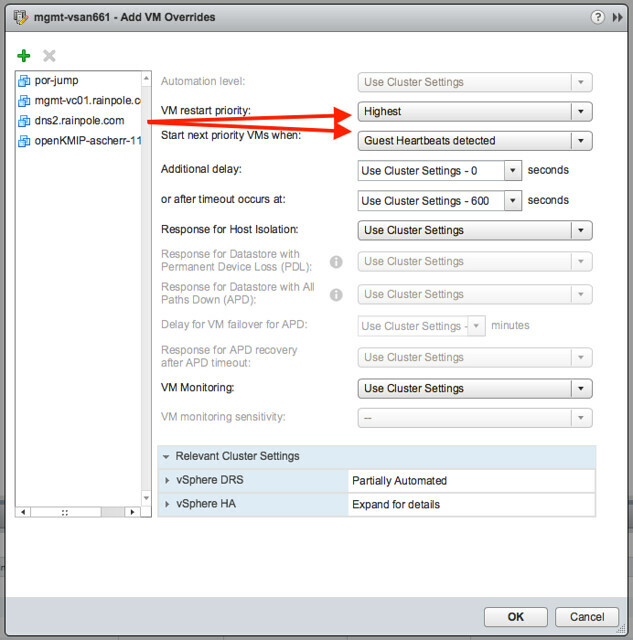 Yes, I was wondering if the restart priority applies when vCenter is not available. This is very helpful. Thanks! Does the master have all the info on (reservable) resources on the slaves to do the same admission control that the slave will en up doing ? That is, the first “resources allocated” that seems to be done at the master can not fail afterwards ? Also, with the new dependencies, a high priority VM that is waiting for another VM, will defer all medium priority starts, right ?